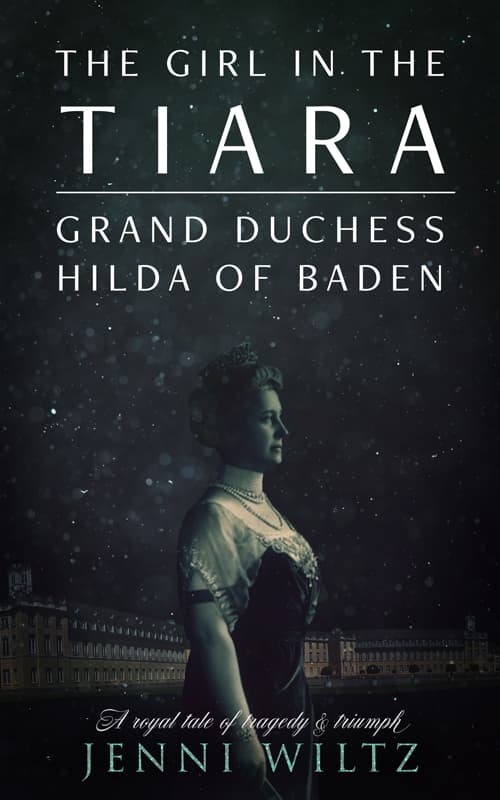 It all started when someone stole Grand Duchess Hilda of Baden’s tiara from the Badisches Landesmuseum in April of 2017. I started researching Hilda, which led me to the story of her parents, her dad’s first wife (Lilli), and her dad’s first wife’s great-grandmother (Augusta). The deeper I dug, the more interesting each story got. 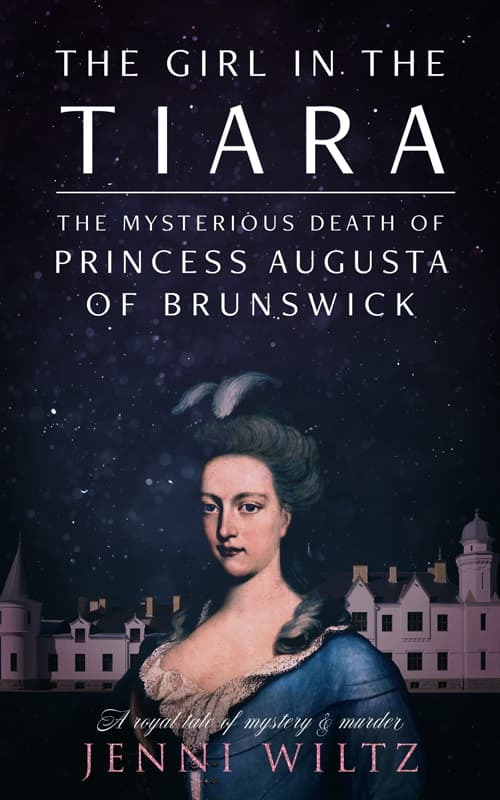 Lilli's story is a romantic tearjerker, while Augusta's is one of the most fascinating royal mysteries I've ever found. I hope you enjoy reading them as much as I enjoyed writing them. You can support the research that's going into these books by becoming a Patreon supporter! You'll be helping put a few dollars into the research fund and getting some exclusive content as a thank-you. On April 21, 2017, a diamond tiara was stolen from the Badisches Landesmuseum in Karlsruhe, Germany. Worth about $1.2 million, the tiara had belonged to Hilda, Baden’s last grand duchess. Princess Hilda of Nassau was a girl without a country. At age two, her father lost his dukedom when Germany flexed its military might in the Austro-German war of 1866. Almost 20 years later, he and Kaiser Wilhelm I still weren't on speaking terms...until Hilda got engaged to the Kaiser's nephew, Prince Friedrich of Baden. Her marriage would heal old wounds, mixing the blood of two proud houses. But marrying a prince didn't mean happily ever after for Hilda. She survived tragedies on a personal and a global scale, from two world wars, a revolution, and an abdication to infertility and a spotlight-stealing mother-in-law. Her story is one of courage, resilience, patience, and faith - with a hell of a lot of adventure and intrigue along the way. Find out what happened to Hilda and her tragic niece Antonia, who inherited her tiara, as they struggled to make their way in a world that seemed to have left royalty behind. Hilda survived war and revolution only to learn what true courage meant at the side of the man she loved. Antonia took a courageous stand against the Third Reich, only to end up on Adolph Hitler's personal hit list. This is their story - a royal tale of tragedy and triumph. Elizaveta Mikhailovna was born a Romanov, a grand duchess accustomed to wealth and privilege. But with six royal daughters to marry off between them, Tsar Nicholas I and his brother, Grand Duke Mikhail, had their hands full. Every summer, Grand Duchess Elena Pavlovna took her three daughters on a glamping trip through the courts of Europe, hoping to land eligible bachelors for her girls. 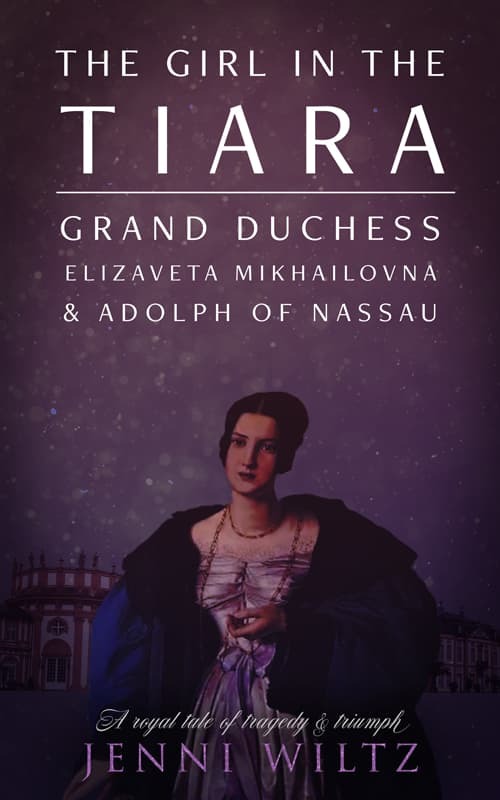 When one of Europe's richest dukes, Adolph of Nassau, fell for fourteen-year-old Elizaveta (nicknamed "Lilli"), Elena knew the fight was only beginning. She had to keep Adolph on the hook for a few more years...and off the radar of Lilli's main competition - Tsar Nicholas I's three beautiful and talented daughters. Like Pride and Prejudice with tiaras, the next six years played out like a romantic comedy on a global stage. From St. Petersburg to London, Vienna, Copenhagen, and Wiesbaden, the six Russian grand duchesses vied for love and attention - and their parents' approval - all with the goal of a marriage contract. But this was real life, not a Disney movie. Princesses don't always get a fairy-tale ending. Of the six Russian cousins, one of them defied the odds to marry for love. One of them clung to a dream for years before seeing it dashed by feuding nations and religions. One married to please her mother. The other three? None of them lived past their twenty-fifth birthday. This is their story - a royal tale of tragedy and triumph. Sign up for my mailing list to get exclusive excerpts, advance access, and more! Lohde Castle in present-day Estonia has a sinister history involving a mysterious royal death and rumors of a cover-up. Like every good fairy tale, it features a young and beautiful princess imprisoned by a wicked queen. Unlike a fairy tale, it doesn't have a happy ending. Princess Augusta of Brunswick married Duke Friedrich of Wurttemberg to get away from her bickering, passive-aggressive parents. But Friedrich's jealous rages turned her dreams of independence and a happy marriage into a nightmare. When Friedrich accepted a position at the court of Catherine the Great, Augusta had trouble fitting in. She found an unlikely champion in Catherine, her distant relative. But when Friedrich's violent temper forced Augusta to beg Catherine to save her life, not even the powerful empress could stop the tragic chain of events that would take Augusta's young life at the age of 23. Check out the blog for fascinating stories about royal women and their tiaras. And don't forget to join my mailing list to get Grand Duchess Louise of Baden's meatloaf recipe! It's finger-lickin' good. Who stole Grand Duchess Hilda's diamond kokoshnik tiara? And what's a kokoshnik tiara, anyway? Find out on the blog! Get a free PDF with four tiara stories - plus news from me, more royal history, and Grand Duchess Louise's meatloaf recipe.